In some parts of the world, Weber means grill like Kleenex means tissue. The Weber Kettle is the most widely identified charcoal grill and now the 18 1/2-inch Weber grill comes in a portable size. With the same cooking grate as the full sized charcoal grill, the Jumbo Joe is big enough for a full-sized cookout, in a portable container. Weighing 22 pounds and with a single hold handle, this just might be the perfect portable grill for when there are more than two people. The Weber kettle is the iconic grill of our times. 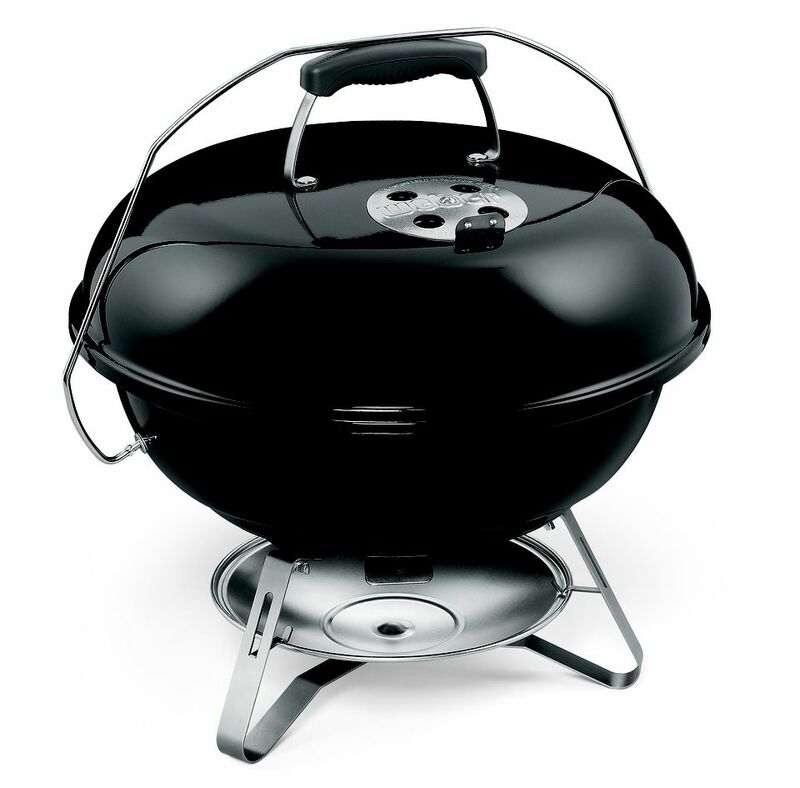 Shipped around the world, the 18 1/2-inch Weber Charcoal Grill is one of the most widely sold grills in the world and now they have produced this portable grill. The Weber Jumbo Joe is actually a reintroduction of an older grill, but with a newly designed bottom vent and better features. This large portable grill gives the cooking area of the full sized version but with a much smaller body. The lid height is limited so a whole chicken might be a problem, but few people expect a portable grill to cook large poultry or roasts. Aside from the size, the Jumbo is very much like the other Smokey Joes. The same three leg design with bottom and lid mounted vents. While large enough for indirect cooking, this is a straightforward charcoal grill with everything one would expect from a Weber grill. I would expect this to be a popular seller and a mainstay of the tailgating community.